so i brought marcos in for a checkup because he’s been tugging at his ear a little. the dr said it was a low-grade ear infection and i got some amoxicillin from the pharmacy. i’ll wait a day or so before giving it because i don’t want to give him antibiotics if i don’t have to. 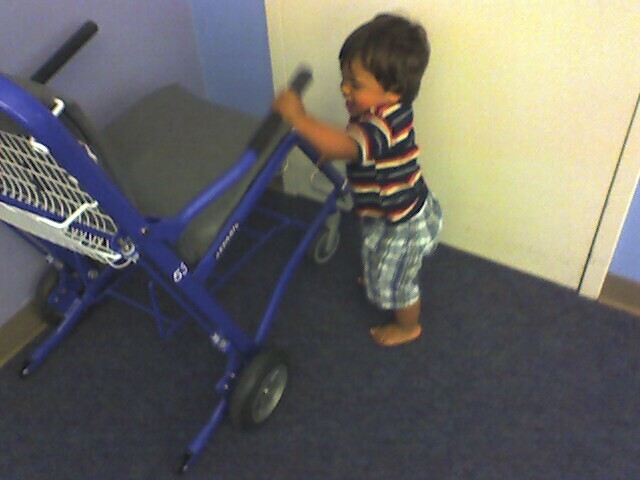 while we were waiting for the doctor, he started to bang away at this wheelchair in the corner and tried to push it around. the loud thrashing scared one of the more timid infants waiting with this mom. this kid is going to be a monster.